Thirteen long Baktuns ago, way back on August 11 3114 BC our time, the world according to the known Mayan calendar, began. Indigenous people in Mexico and central America are currently celebrating the winter solstice and the end of the Mayan calendar’s 13th bak’tun. 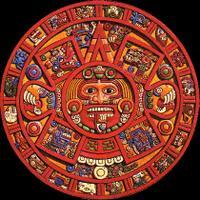 Both the Hopis and Mayans recognise that this is a time of the end of a particular World Age. In both cases, however, the Hopi and Mayan elders do not prophesy that everything will come to an end, as many believed. Humanity is making a giant leap in progress towards evolution and to be living in such an exciting time is truly amazing. From an astronomical perspective, the 26,000-year cycle that causes the realignment of the sun with the plane of the Milky Way was first described by Greek astronomer Hipparchus in 128 B.C. Although it is important to understand the changes that are occurring around us, it is not as simple as learning something that is new. This is a time that involves the questioning of our beliefs, beliefs that have been deeply embedded within us since birth and the ancients believed there will be a major shift in our paradigms, one in which you will wonder in disbelief at your ability to create. This is a time that will instill in you a sense of excitement for the future. As we expand our consciousness and our awareness of the world around us and how we fit as part of that world; by knowing the truth about ourselves; and as we seek to understand the higher nature of our reality so that we can make better decisions, decisions that will truly set us free during this special and exciting time in our galaxy; we transform ourselves and the planet. The 5,125-year cycle of the Mayan calendar ended around the time of the winter solstice Friday morning in the northern hemisphere, USA; Friday evening in the southern hemisphere, Australia. Thirteen was a spiritual number in Mayan culture; and December 21, 2012 is the actual date that a uncommon galactic alignment will unfold in the whole Milky Way. And yes, the time has passed and the world’s still turning. “The whole thing was a misconception from the very beginning,” says Dr. John Carlson, director of the Center for Archaeoastronomy. “The Maya calendar did not end on Dec. 21, 2012, and there were no Maya prophecies foretelling the end of the world on that date.” The truth, says Carlson, is more interesting than fiction. For Carlson, “experiencing Dec. 21, 2012″ means visiting the Maya homeland in the Yucatan, and thinking back to the height of Maya civilization, when ancient humans contemplated expanses of time orders of magnitude beyond modern horizons. They predicted that the world would be refreshed, not destroyed. In the language of Maya scholars, 13 Bak’tuns or 13 times 144,000 days elapsed between the two dates. This was a significant interval in Maya theology, but, stresses Carlson, not a destructive one. It seems the end of the Mayas’ 13th Baktun didn’t predict the end of the world after all. Rather, this is a time of transition from one World Age into another. The message they give concerns our making a choice of how we enter the future ahead. Everything will change: December 21, 2012 will be a date of rebirth, the beginning of the World of the Fifth Sun. The nature of that world is not determined in advance, but the Mayan system definitely suggests that it may be the beginning of a new cycle of Ages, starting with the Golden Age. It is likely to mark a fundamental shift in human culture and consciousness. The most famous calculation is encoded in the so-called long count. The ‘Age of Jaguar’, the thirteenth baktun of 144,000 days, will come to an end on the 21st of December 2012. That will mark the end of the Fourth Sun (also known as the Fourth World) and the end—and at the same time the beginning—of the Mayan calendar. This transformative date is written as 13.0.0.0.0 in long count notation, which is the same as the notation for the first day in the calendar. December 21, 2012 marks the end of the long count in the Mayan calendar (and thus also the end and rebirth of the calendar), but not the end of the world. The Mayan elders believe the world will be transformed, and we believe that you can play a big part in that transformation. Some say that rather than cataclysm, we’re due for a sudden, cosmically timed awakening; we will all join an enlightened collective consciousness that will resolve the world’s problems. The winter solstice sun is “slowly moving toward the heart of the Galaxy,” writes spiritualist and former software engineer John Major Jenkins. On December 21 (or 23, depending on how you align calendars), when the sun passes the “Great Rift,” a dark streak in the Milky Way that Jenkins says represents the Maya “Womb of Creation,” the world will be transformed. Then we will “reconnect with our cosmic heart,” he writes. Maya skywatchers possessed a zodiac, so they could have noted the difference between stellar years and solar years, but there is no convincing evidence that they charted the precession, or how they might have done it. Anthony Aveni, professor of astronomy and anthropology at Colgate University and author of the new book, The End of Time: The Maya Mystery of 2012 says the responsibility for educating the public about what we really know about the Maya and other extraordinary cultures – such as the ability of the Maya to follow the position of Venus to an accuracy of one day in 500 years with the naked eye – should fall squarely on the shoulders of those of us who spend our lives studying them.